July is National Ice Cream month, so I better squeeze in a homemade recipe before month end. But first…am I the only one that has issues on the ice cream aisle at the grocery store? Even my modest Safeway carries more flavors than my attention span can handle. And the process while trying to make a selection takes me through a range of emotions. It starts with excitement, turns to overwhelmed and then defeat. Not to mention the paranoia that store cameras have shifted my direction due to my physical inactivity. Luckily my favorite flavor is vanilla, so when I can’t decide between Chocolate Ice Cream with Fudge Brownies or Banana and Strawberry with Walnuts or Oreo Chunks with Raspberry Swirl, I can always reach for the nearest tub sporting a vanilla bean illustration. 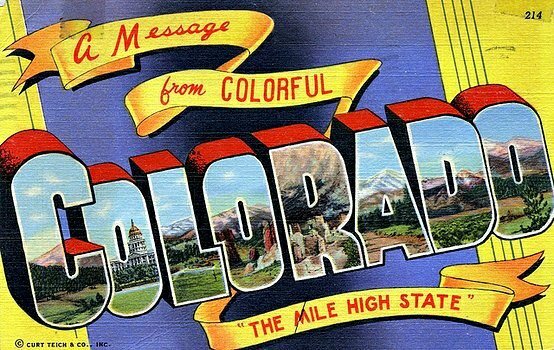 With so much to chose from, why even make it at home? Well, until you’ve tried a custard based homemade ice cream you’ve not lived. Cream that’s been scorched on the stovetop is added to beaten egg yolks to temper. Stir in vanilla. Refrigerate overnight so it “does its thing”. The next day add your extra flavorings and ingredients and churn up a delicious creamy treat. That’s incredible ice cream. 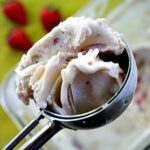 My friend and fellow Denver food blogger, Holly over at A Baker’s House recently posted a recipe for Balsamic Roasted Strawberry Ice Cream. The savory aspect of this had me pinning the recipe and running to the store for strawberries. Plus, I was anxious to try this creamy version which is not a custard based recipe. Incredible flavors here. 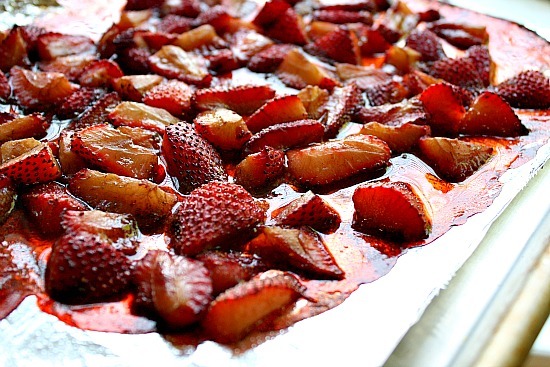 Roasting the strawberries in balsamic vinegar and sugar gives this such an adult feel featuring a caramelized syrupy decadent end result flavor. We could not stop eating this creamy sweet and savory ice cream. So get out that ice cream maker before you’re asking yourself where the Summer has gone. 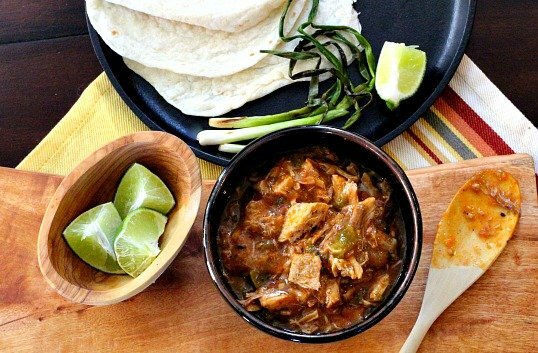 This is an easy and impressive recipe to make at home. Thank you Holly for a great recipe. Heat oven to 425 degrees F. Toss 2 cups strawberries (cleaned and cut into quarters) with 1 Tablespoon sugar and 1 Tablespoon balsamic vinegar. Roast in a 9 x 13 pan or a baking pan lined with aluminum foil for 18-22 minutes. Let cool completely before combining with the base. Chill the base ingredients then combine and stir in a large bowl. Fold in the cooled strawberries. Pour into the ice cream machine and process for 18-20 minutes. 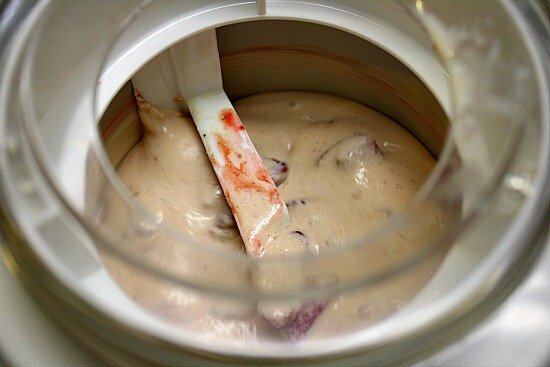 Transfer the almost frozen ice cream into a container and freeze for at least 4 hours. 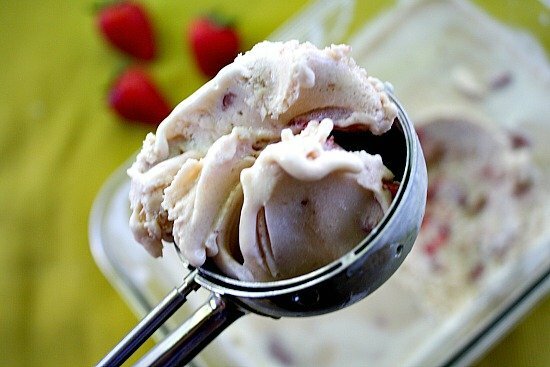 Balsamic Roasted Strawberry Ice Cream…It’s What’s for a Summer Dessert. Looks like everything wonderful about summer. I don’t have an ice cream maker (sigh), but I might just make the balsamic strawberries. I love balsamic vinegar and strawberries. Your recipe looks delicious! I have been wanting to buy an ice cream maker. Don’t have one. I once used that camping ball that makes ice cream and it worked great. This combination seems yummy and I’d love to try it! Oh my word, I’m sure this was amazing! I have had roasted strawberries with balsamic before and they are divine. In ice cream? Well that’s gotta be close to heaven!!! I’m completely intrigued by this ice cream recipe. First the roasted strawberries and then the balsamic…sounds yummy. I always make a custard base but will give this one a try. What a unique idea! I like balsamic vinegar on strawberries, but I would never think of putting it in an ice cream…until now! Yes, I’ll be trying this one, yummy! Somehow roasting ‘anything’ and the addition of balsamic vinegar takes things over the top in flavor. I love a good custard based ice cream just like you! Gorgeous photos, Lea Ann, so professional!!! Your photos are great and make me wish that I had this ice cream in my freezer right now! I may have to take a short cut and roast some strawberries this week to top my store-bought vanilla ice cream. Balsamic and strawberries…a great combo of flavours for the ice cream. Roasting makes everything taste better! Oh my. this is just lovely. I love strawberries and balsamic, but never thought to put them in a pudding. amazing. I finally made ice cream this past week but of course I didn’t get it posted before the end of ice cream month 🙁 Oh well, I won’t stop eating ice cream in August! I am afraid of making this for fear I would not be able to stop eating it! If I ever do make homemade ice cream, I am going to go to town with the recipes you’ve posted. That first picture is just beautiful btw. Love the bokeh. Hi Lea Ann! This ice cream sounds just amazing, wow, what a wonderful infusion of flavors. I’ve only roasted strawberries once, I think I need to re-visit this yummy technique! Love your photos too. Thanks for visiting The Café! Thanks for taking the time to stop by and the comment.